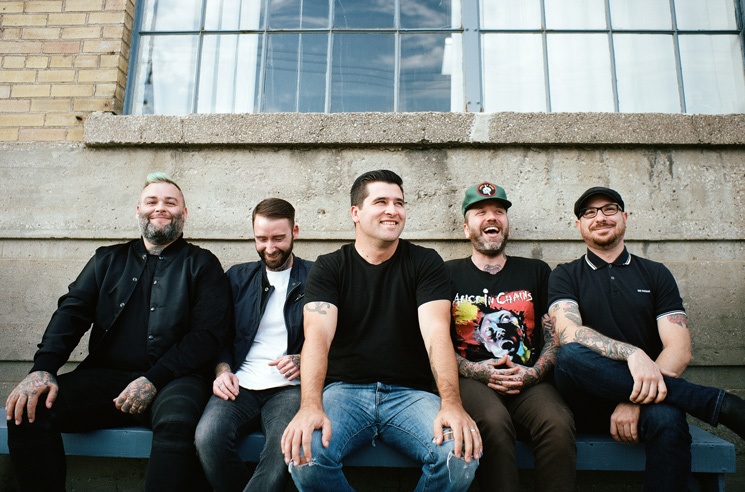 Though they still have "no immediate plans" to reunite in a traditional sense or release a new record, beloved Canadian quintet Alexisonfire have been popping up in interesting places as of late, appearing at shows with Moneen and Billy Talent. Now, the group have announced a limited run of live dates in Toronto set to take place this summer. In addition to their appearance at Montebello Rockfest in Quebec, the band will take the stage at Toronto's Danforth Music Hall for four nights in June. A first all-ages date will take place on June 18, with 19+ shows taking place on June 19, 21 and 22. Alexisonfire have also announced a new pressing of Crisis will be available as part of Record Store Day 2017, with the record arriving as a single LP on white vinyl. An anniversary edition of the record arrived late last year. Tickets for all four dates at the Danforth Music Hall go on sale March 3 at 12 p.m. local time, and can be found here. Find the tour dates below. UPDATE (7/12, 2:30 p.m. EDT): Due to illness, the original dates in June were recently postponed. However, they have now been rescheduled for December. You can see the updated schedule below and learn more here.